The victim was taken to an area hospital for treatment; the suspects fled with US currency, police report. 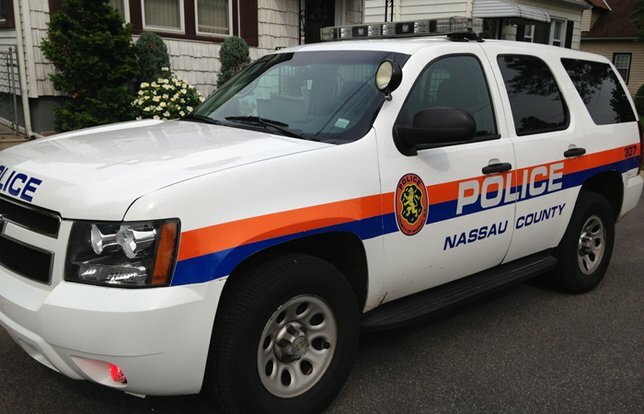 NCPD are investigating an assault and robbery that occurred in Lakeview. Lakeview, NY - October 16, 2018 - The Fifth Squad is investigating an incident that occurred on Monday, October 15, 2018 at 10:25 p.m. in Lakeview. According to detectives, four (4) unknown male black subjects approached the male victim, 32, in front of his Mahopac Road home and demanded him to open his front door. The victim refused and was struck in the face with a silver handgun by one of the subjects. A second subject struck the victim in the face with a black handgun while the third and fourth subjects punched and kicked the victim. One of the subject’s went into the victim’s pocket and removed an undisclosed amount of US currency. The subjects fled northbound on Mahopac Road in a black Dodge Durango and a black Chevy Camaro. The victim was taken to an area hospital for treatment. He sustained multiple facial fractures, a laceration to the top of his head, a fractured jaw and several teeth were knocked out. The investigation is ongoing. Subject: LongIsland.com - Your Name sent you Article details of "Cops: Lakeview Homeowner Pistol-Whipped by Gang in Home Invasion, Robbery"